Recently, the MI team had become the first T20 team ever to win 100 T20 matches in the IPL tournament. The Mumbai based IPL T20 franchise, Mumbai Indians is one of the most popular teams in the world of the franchise based T20 leagues. The team is owned by India’s biggest conglomerate, Reliance Industries, through its 100% subsidiary IndiaWin Sports. Mumbai Indians was sold to Reliance for a record amount of $111.9 million, making it the most expensive franchise to be sold in the Indian Premier League. 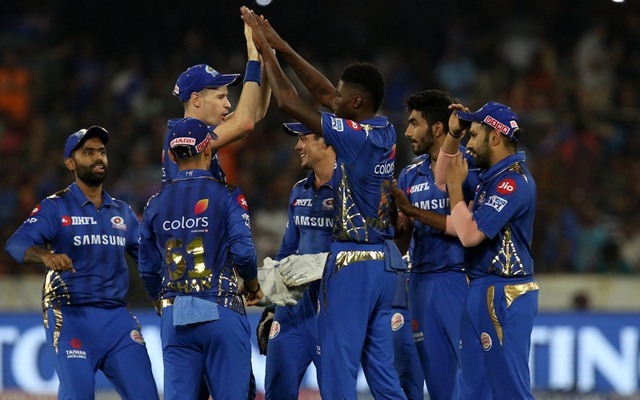 Recently, the MI team had become the first T20 team ever to win 100 T20 matches in the IPL tournament and on April 13, when the Rohit Sharma-led team stepped out on the Wankhede Stadium to play the Rajasthan Royals, it became the first team to feature in 200 T20 matches. 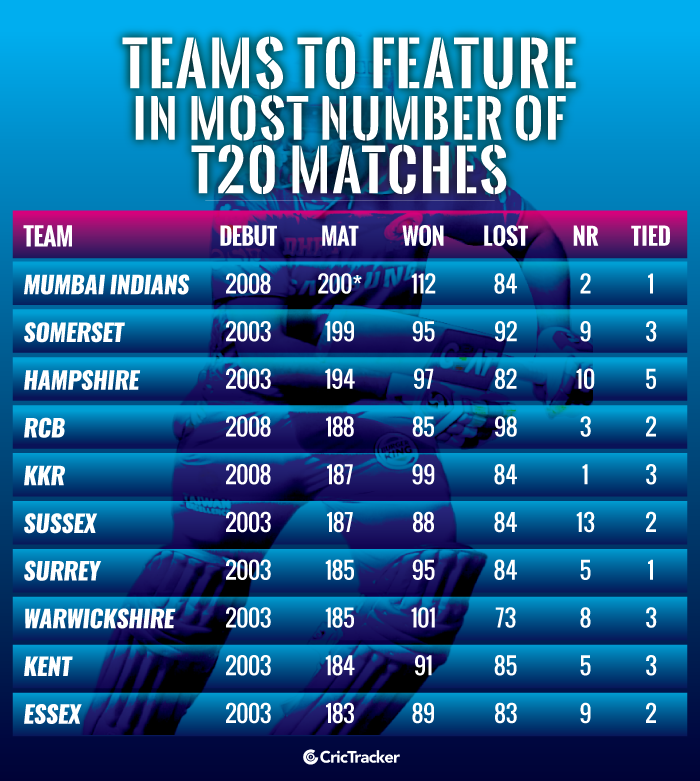 Mumbai Indians, who made their debut in 2008, has beaten the likes of Somerset and Hampshire, which made their T20 debut in 2003, to the landmark. The Mumbai Indians was initially set to be led by icon player Sachin Tendulkar in IPL 2008, but an injury to him meant Harbhajan Singh was chosen to lead the team. He was then banned for slapping S Sreesanth and Shaun Pollock took over as captain. The first few years proved to be unfruitful for the team. In 2013, Rohit Sharma was handed the captaincy and he led the team to their first IPL title and since then, he has won the IPL in 2015 and 2017, making MI the first team to win the tournament thrice, a record later equalled by Chennai Super Kings. Mumbai Indians have won 112 matches and lost 84 matches. Rohit Sharma is the all-time highest run-getter for the franchise with 3488 runs in 134 not out matches (including the match against Rajasthan Royals on April 13, 2019). The highest wicket-taker for the franchise is Lasith Malinga with 157 wickets, which is also the highest wickets in the IPL as well. Kieron Pollard leads the most catches list with 77 catches to his name. In the ongoing IPL 2019, Mumbai Indians are currently placed at no.3 spot in the points table with 4 wins from 7 matches. The Rohit Sharma-led team is considered to be one of the front runners to make it to the playoffs and even win the tournament.